Warriors supporters! This is your chance to own the same on-field jersey design as worn by the players during the 2018 playing season. 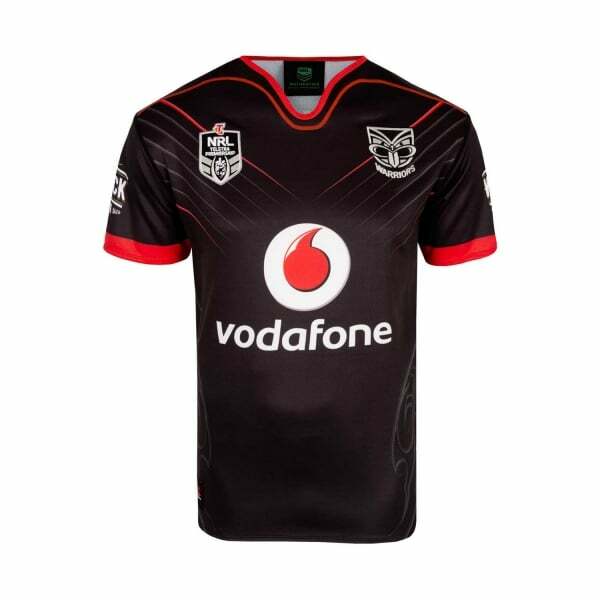 Order your Vodafone Warriors Replica Home Jersey now, while stocks last. Canterbury’s Replica Home Jersey is a limited edition jersey every Vodafone Warriors fan should have in their collection. With the same on-field design as worn by the players during the 2018 season, this contemporary fit jersey is made from 100% Polyester pro-jersey knit 245gsm and features embroidered team and sponsor logos at the chest and an NRL locker tag at the right front hem. It also features the Vodafone Warriors exclusive Home Koru Design, which symbolises strength, protection, growth and working together as a team. These limited edition jerseys won’t last long, so secure yours now while stocks last, online or instore at Canterbury.